By Jake Rocheleau in Toolkit. Updated on August 20, 2018 . Every great design needs great typography. This rings true for all design work including print and web design. But finding the best typography for your site is no easy task. Many designers rely on free tools for matching typefaces. But not all tools are created equal and very few of them include the hundreds of typefaces you can select from Google’s Webfonts library. With Typ.io you can find matching fonts with just a few minutes of testing. This free site catalogs hundreds of different typefaces with examples from real-world websites and compares how they look. It’s perfect for matching your body font with heading fonts, and for finding accent fonts to use in your site’s navigation or footer. Check out the lists page which outlines dozens of common pairing ideas for typography. Serif for headers and content. Same fonts in headers and content. That said, Typ.io isn’t just some random font generator. 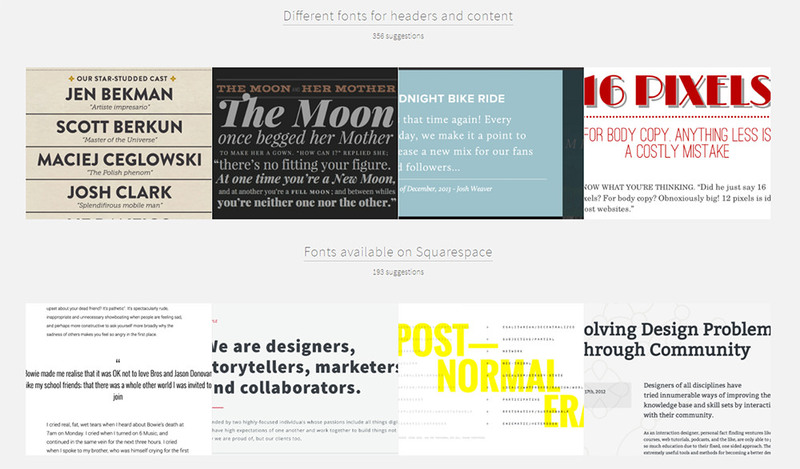 It’s a massive library of hand-picked font styles that includes real examples from live websites. That way you can study how certain fonts actually look on the web to get a feeling of how they’d look on your site. It’s a brilliant way to find typefaces that feel readable and catch the eye. 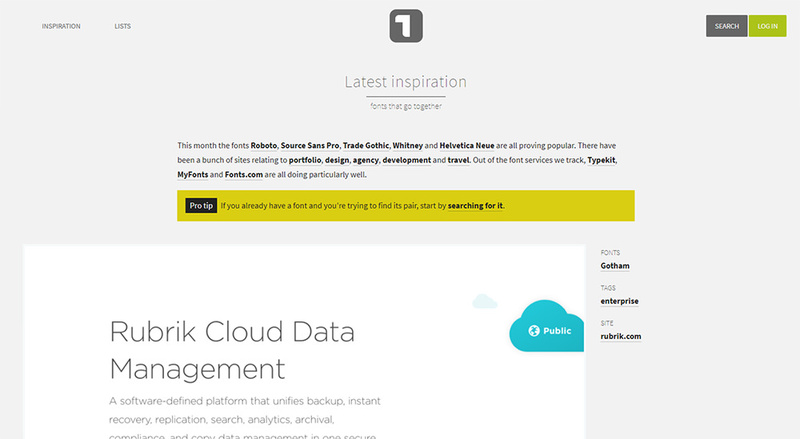 Plus Typ.io comes with a free Chrome extension that you can use to analyze fonts on-the-fly. If you aren’t sure how to get started just visit the inspiration page and browse around. You’ll be surprised how many amazing font families you’ll find there. Plus the live examples come from all over the web to show different design styles, colors, font sizes, and other properties you can mix together for your own layout. The Typ.io team is always open for new font combinations (including TypeKit/premium fonts) so if you have suggestions you can share via email or through the main Twitter account @typiohq.